In 2008, Kerry Watson returned from the Shimba Hills in Kenya where she had spent time as a volunteer working with orphaned and neglected children. This experience sparked a vision to build her own orphanage, offering food, water and shelter to orphaned children. By 2012, her dedication and incredible hard work resulted in the building of classrooms and, since then, the orphanage now houses 30 children. Footprints gives the most vulnerable, desperate children the chance to have a childhood. To create a home that can give parental care, love, understanding, security and happiness but above all the sense of belonging to family life that every child deserves. To give the children an education that will encourage, motivate and lead them to become confident adults with opportunities for the future. 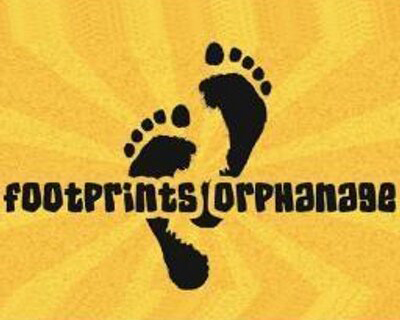 GEC supports Footprints by giving a monthly donation to the orphanage, funded by the money our customers spend with us. It costs £5,000 per month to maintain the home and school facilities. We would like to encourage others to join us in supporting this brilliant project so whatever you can afford or donate, please do help this wonderful Charity. (Please note that Kerry lives in Kenya, where the internet connection is extremely unreliable).